The King Street Station Renovation Project served to restore the station’s prominence and establish it as a modern transportation hub for the next 100 years. Built in 1906, King Street is the busiest train station in the Pacific Northwest serving a half million passengers annually. The first phase of the project, completed in 2009, involved replacing the existing asphalt shingle roof with historically accurate terra-cotta tiles and repairing the four clocks in the tower. 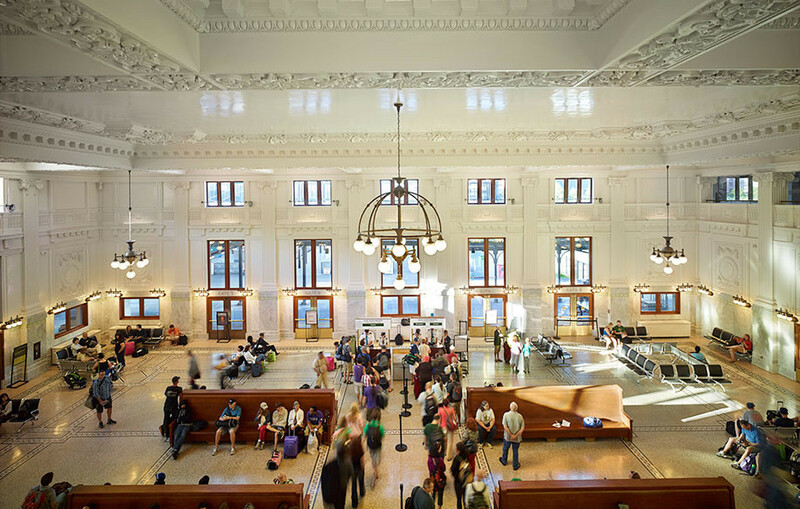 The second phase, completed in 2013, included structural and systems upgrades to the building, updates to Amtrak related facilities and the Jackson Street plaza as well as restoration of all interior finishes including the main lobby’s ornate plaster ceiling. It was extremely important to the client that the station remain operational for passengers throughout the duration of the project. 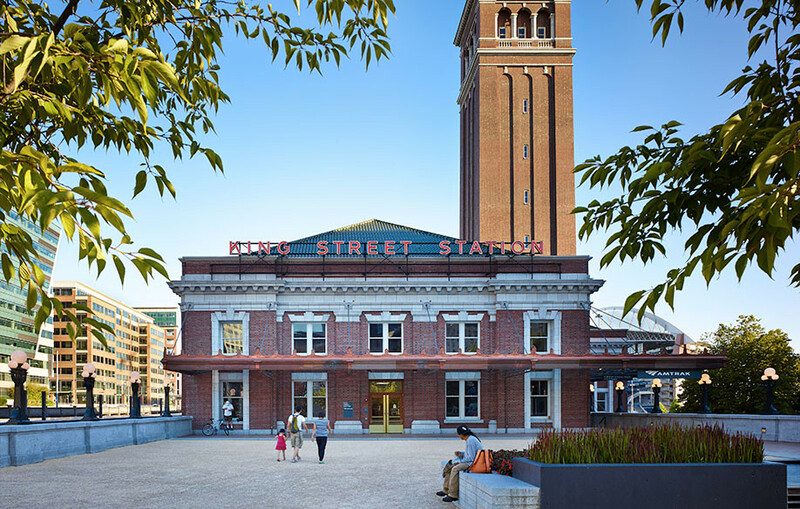 King Street Station achieved LEED Platinum Certification.